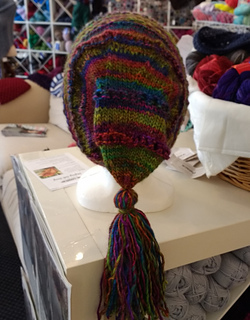 You can have all kinds of fun using up scrap yarn with this one - the zanier the better! 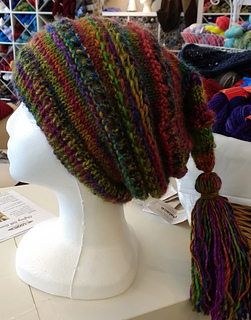 This hat is #5 in the Twelve Hats of Christmas KAL going on over in the Criminal Knits…for the Serial Knitter in all of us. group - come join us for all the fun! Size: adult but it’s pretty easy to size down for a child. Just c/o your favorite number of stitches for the head you have in mind in multiples of 2!! !